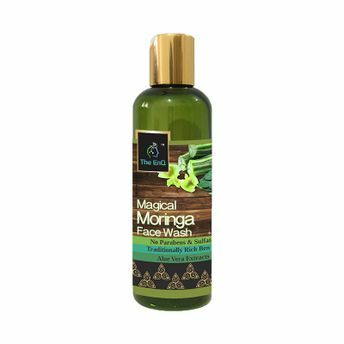 The EnQ Magical Moringa Face wash is made with Ben oil, a historically well-known ingredient known for its various skin benefits. It has been used as a beauty product by ancient Roman, Greek, and Egyptian queens. It gives radiant skin glow and purifies the skin from deep inside. It is very effective as a therapy for curing pimples and acne. It also works as a very good hydrating agent for your skin leaving it smooth, fresh and glowing.